Father's Day is just around the corner on June 17th...are you ready? We've put together a collection of 29 of the perfect gifts for dad, from Danish grilling tools to a collection of Scandinavian outdoor fun and games. 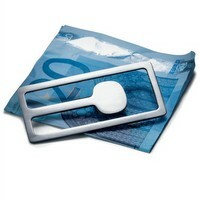 The Georg Jensen 5068 money clip is as stylish as it is functional. We're now offering free gift wrap and free shipping on all Georg Jensen keyrings and moneyclips -- they make the perfect gift for dad! This Scandinavian lawn game makes a great gift for dad, but is perfect for the whole family to play. 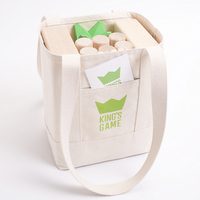 Durable and sturdy, King's Game will become a family favorite for years to come. This unbelievably soft badger hair brush is handmade in Sweden by people with visual impairments at Iris Hantverk. 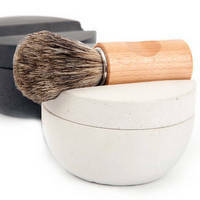 The Swedish shaving set, which comes with a shaving soap cup as well, is a classic item that every man should own. 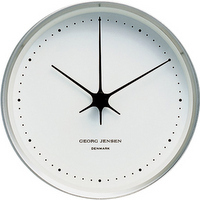 Refined and function, this Henning Koppel clock by Georg Jensen is a design classic. Available in steel and white, black and white and black and steel, choose the one that best suits the dad in your life. Perfect for office, kitchen or den. 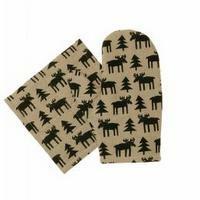 For the dad that likes to cook, this set of Swedish oven glove and potholder will add a touch of Scandinavia to your kitchen. Made of linen and cotton in Sweden, dads will appreciate the cheerful moose design. You can find our entire collection of Scandinavian Father's Day gift ideas on our site at fjorn.com.